One of the most challenging aspects of a spray operation is the disposal of leftovers or rinsate containing pesticides. 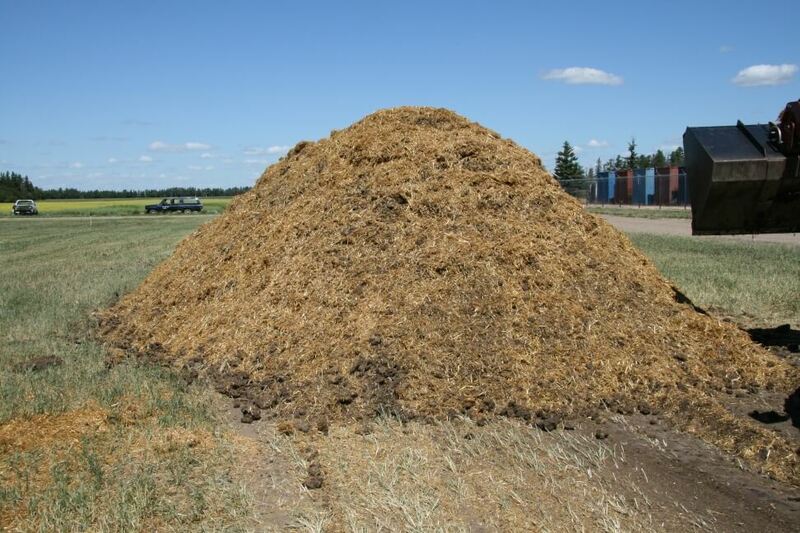 Let’s be honest, too much of it is drained onto the ground in a corner of the yard or the field. Nobody’s happy about that, nobody’s proud of it, but what are the alternatives? Waste disposal is a skeleton in the closet of the pesticide industry. One of the problems is the time-consuming nature of sprayer cleaning, and the lack of clear guidelines on product labels that pass the buck. Too often, the applicator is asked to “act in accordance with provincial or state guidelines”, which is essentially a dead end. 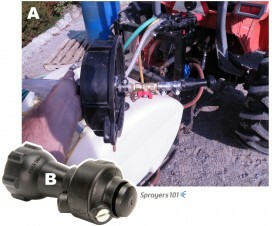 At Sprayers101.com, we’ve tried to tackle the problem by finding ways to generate less waste (Express End Caps, Accu-Volume), by disposing of the rinsate by spraying it out, or by installing an efficient continuous rinsing system. We’d now like to talk about another component, biobeds. Simply put, a biobed is a place where it’s safe and acceptable to dump dilute pesticide waste. First implemented in Sweden about 20 years ago, a biobed typically consists of a 1-m deep pit measuring about 3 m x 6 m or so. 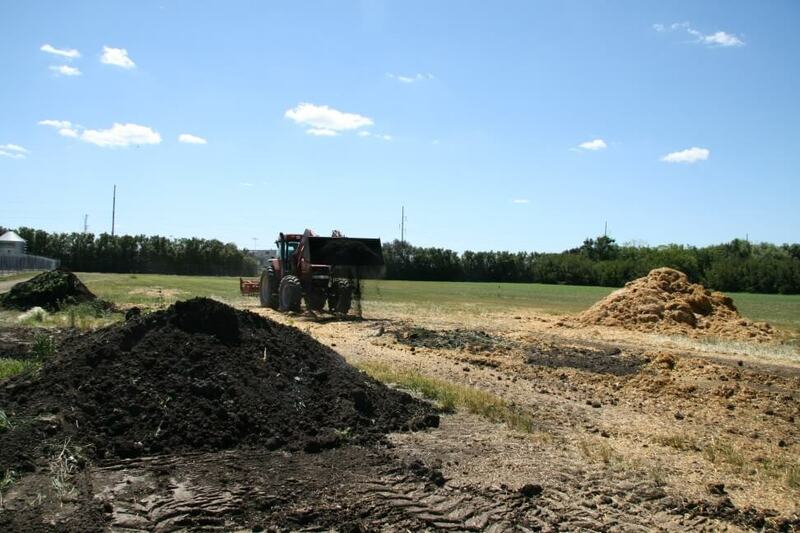 The pit is filled with a biomix, a mixture of cereal straw, compost or peat, and soil. The biomix, when properly prepared, acts to absorb a large amount of moisture, adsorb the pesticide molecules, and provide an environment in which microbes break down the residues. Figure 2: Canada’s first commercial biobed installation at Indian Head, SK, 2009 (Source: Murray Belyk, Bayer CropScience (retired)). The effluent from a properly constructed biobed system contains 90 to 99% less pesticide than what was introduced, depending on the pesticide. Biobeds have been extensively studied and are now found throughout Europe and many parts of Central and South America. Canada currently has 6 research biobed sites in the West, and a further 17 in Quebec. The systems have been researched by Agriculture & Agri-Food Canada (AAFC) in recent years, with promising results. 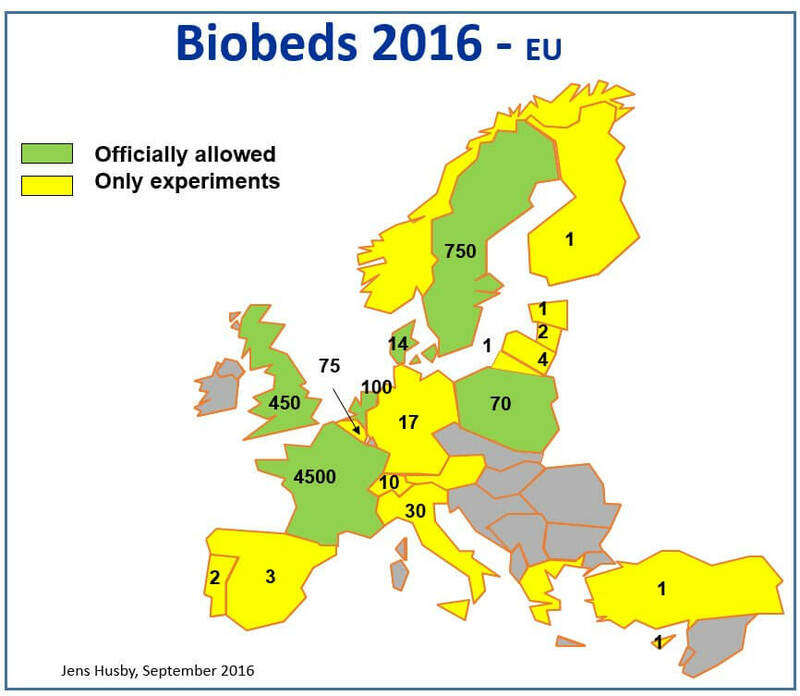 Figure 3: European biobed installations, 2016 (Source: Jens Husby, Biobeds.org). 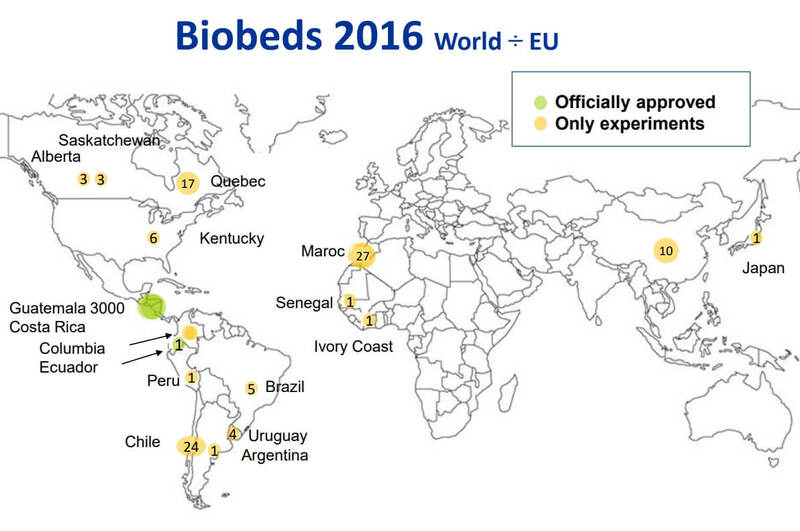 Figure 4: Global biobed installations, 2016 (Source: Jens Husby, Biobeds.org). There are many possible variations of biobeds, some relatively simple and others engineered to address certain specific needs. A great deal of creativity can be used to customize a biobed for any operation. The following is a variation of the simplest biobeds, and these are the types first tested by AAFC in Saskatoon and Indian Head, Saskatchewan about 10 years ago. This design is based on the biobeds established in Sweden and the UK, and is a good way to learn about the system. Note that this biobed has an impermeable liner, so it’s a closed system. Excess water that leaches to the bottom must be removed and cycled back to the top of the biobed. 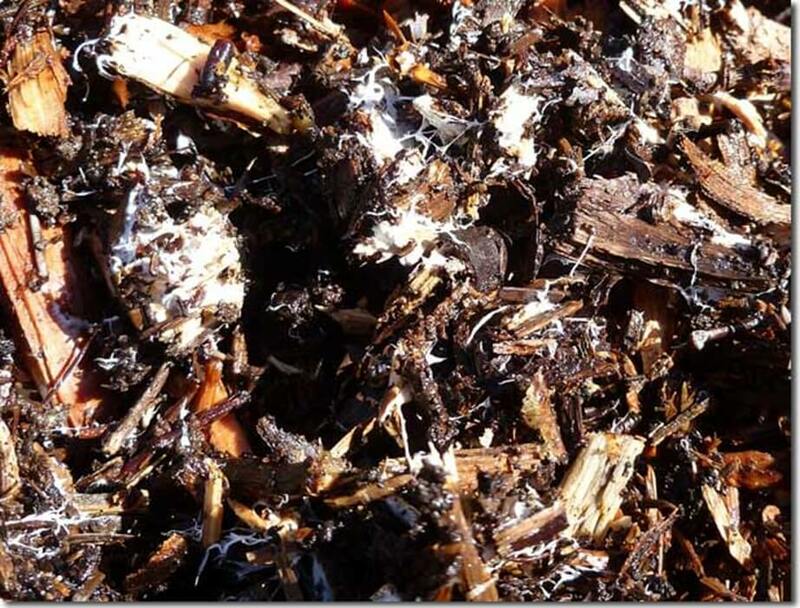 Create the biomix by blending two parts, by volume, chopped cereal straw or wood chips (not cedar), one part mature plant-sourced compost or peat and one part relatively coarse-textured soil (for optimal drainage). Add water as necessary as if making compost. Allow to sit for four to six weeks. During this waiting time, the biomix will warm and form a white-mold complex. This is the microbial basis for its ability to break down pesticide residues. White mold will be visible on the cellulose portions of the biomix. Figure 6: white mold (Source: AAFC). Identify a well-drained site easily accessible by spray equipment. Avoid low spots as water management becomes problematic. Figure 7: Site selection and/or biobed covering are essential to avoid waterlogging (Source: Murray Belyk, Bayer CropScience (retired)). 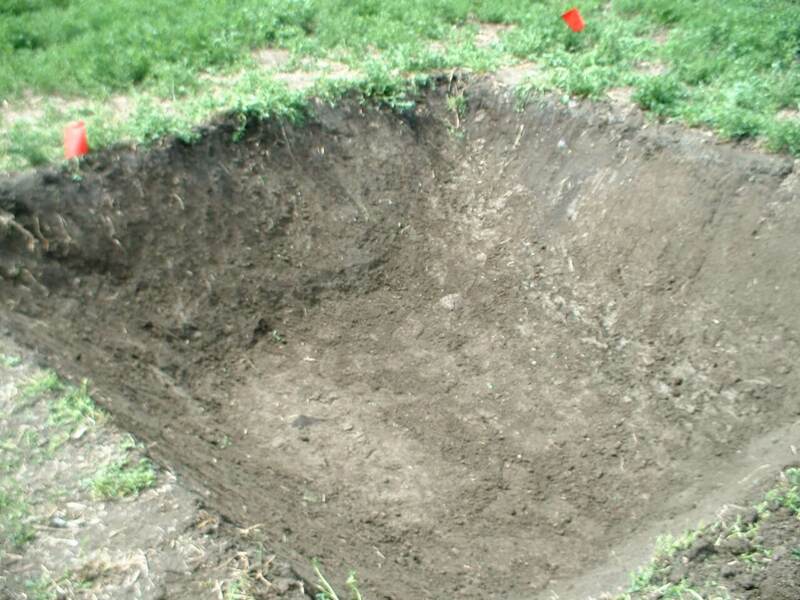 Dig a pit sized to suit your requirements. As a rule of thumb, 1 m3 can process about 1000 L of liquid in a season. Rainfall is included in this amount. Figure 8: A nice looking pit. 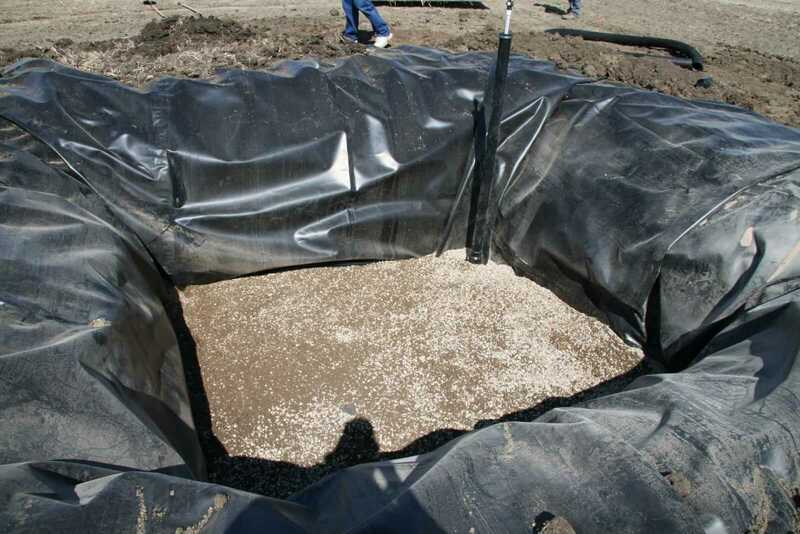 Line the pit with a geomembrane liner. 40 mil is plenty thick; any thicker and it gets hard to handle. Include a raised berm at the edge. Figure 9: Liner creates a closed system that will require a way to remove leached water. Install weeping tile at bottom of pit, and extend it to ground level. 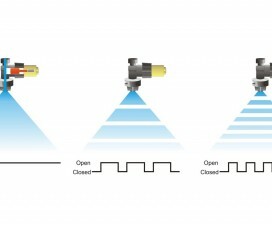 This will be useful to determine water status and remove water if necessary. Figure 10: Weeping tile to collect excess water. Cover weeping tile with pea gravel and a silt trap. This serves to make leached water freely available for removal. Figure 11: Pea gravel over weeping tile. Fill pit with biomix, anticipating significant settling. Top up as necessary over next few weeks. Use extra biomix to create a slope away from berm. 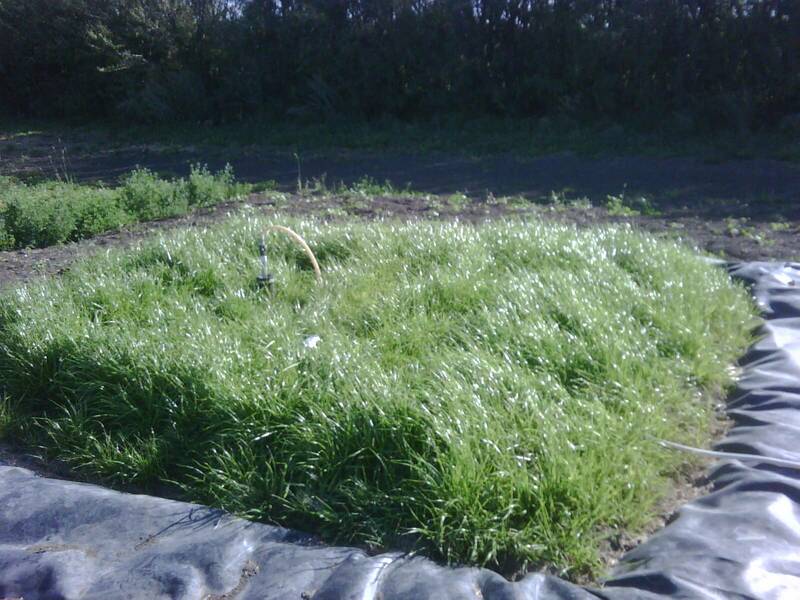 Establish a bromegrass cover by transplanting or sodding. 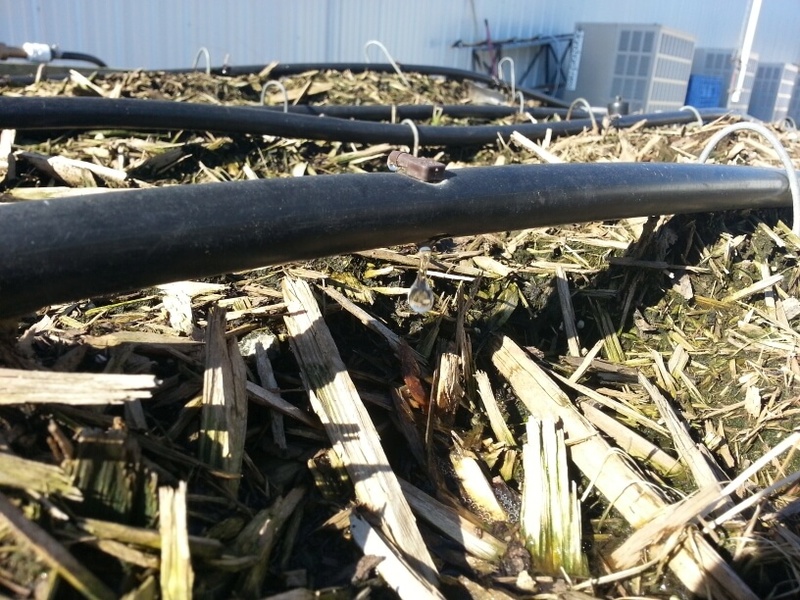 This is an important way to remove excess water via evapotranspiration. Figure 13: Early sod growth on biobed at Indian Head, SK. 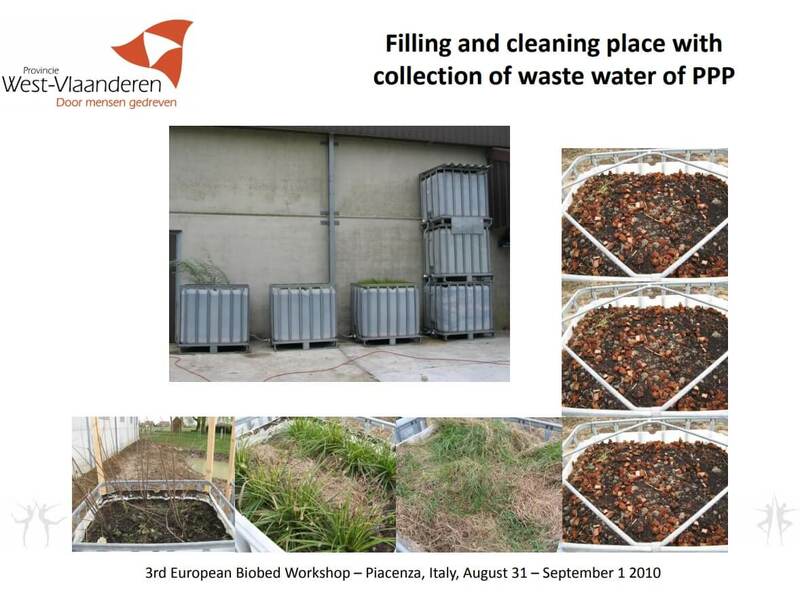 Introduce pesticide waste to biobed, managing moisture content to avoid waterlogging. Figure 14: Pesticide waste entering biobed via drip irrigation. 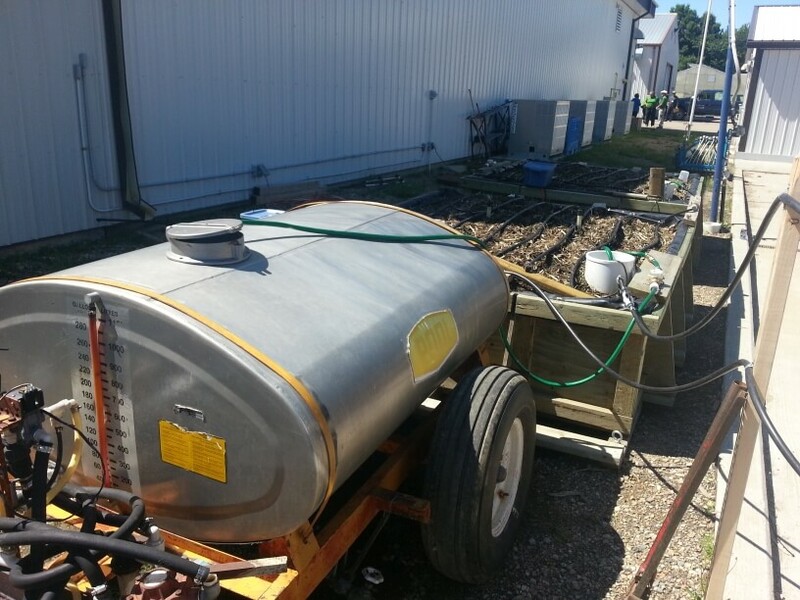 Moving pesticide waste from the sprayer to the biobed should be easy and trouble free. A simple pad built beside biobeds, either sealed with concrete or asphalt, or with a hardy geomembrane liner, works well. 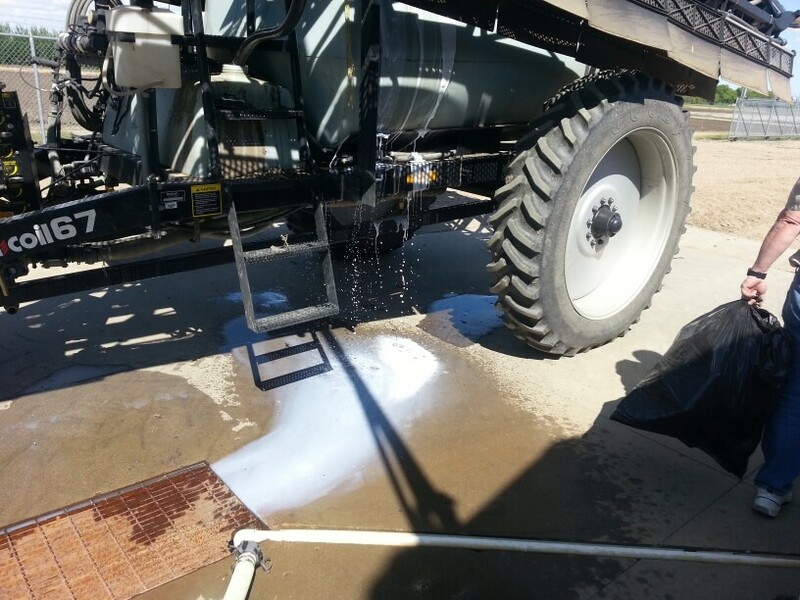 The sprayer is cleaned on this pad and rinsate flows into a drain. 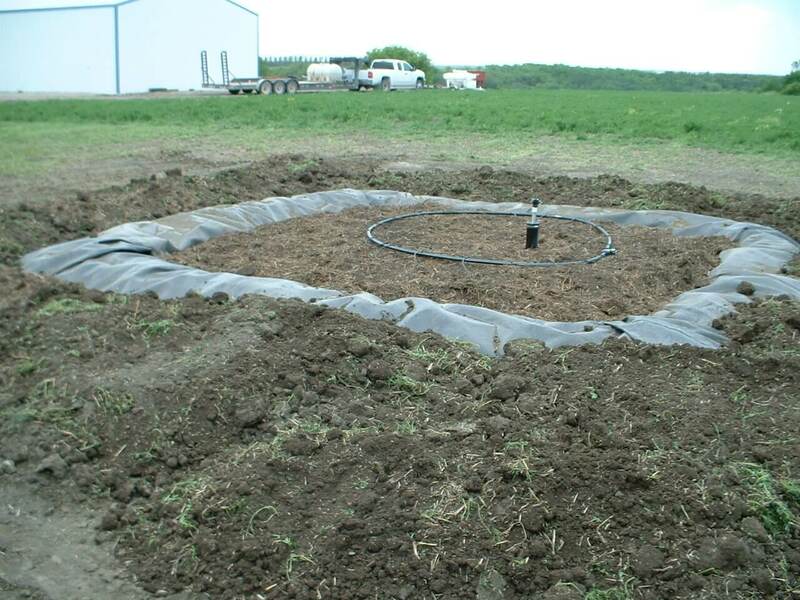 A sump pump lifts the rinsate to a storage tank from which it is introduced via gravity or pumped drip irrigation. Figure 15: Biobed system in Simpson, SK. Rinsate from sprayer is collected in a sump, which is pumped to the black storage tank in background. 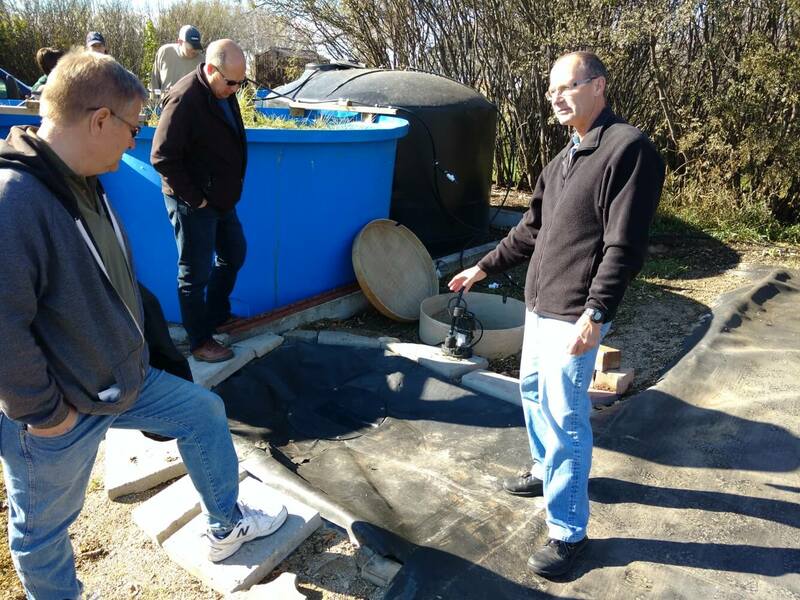 Rinsate is introduced into biobed (blue tub) as needed (Brian Caldwell in foreground, left, Larry Braul, right). When not in use, the sump drains freely to dispose of rain water. Others choose to pump or dump rinsate directly into a holding tank, from where it can be pumped onto the biobed. Figure 16: Holding tank at biobed in Outlook, SK. Some European systems include driving supports on the biobed so the sprayer can be parked directly over top. 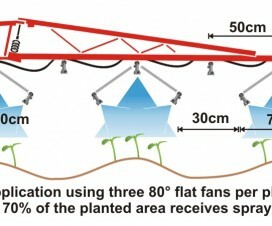 Figure 17: Steel beams can allow (light) sprayer access (Source: Eskil Nilsson via Biobeds.org). The same basic building principles apply as in the original simple biobed. However, instead of reintroducing the effluent to the top of the biomix as it collects on the bottom, it is instead pumped onto a second biobed. This biobed then degrades any remaining product. 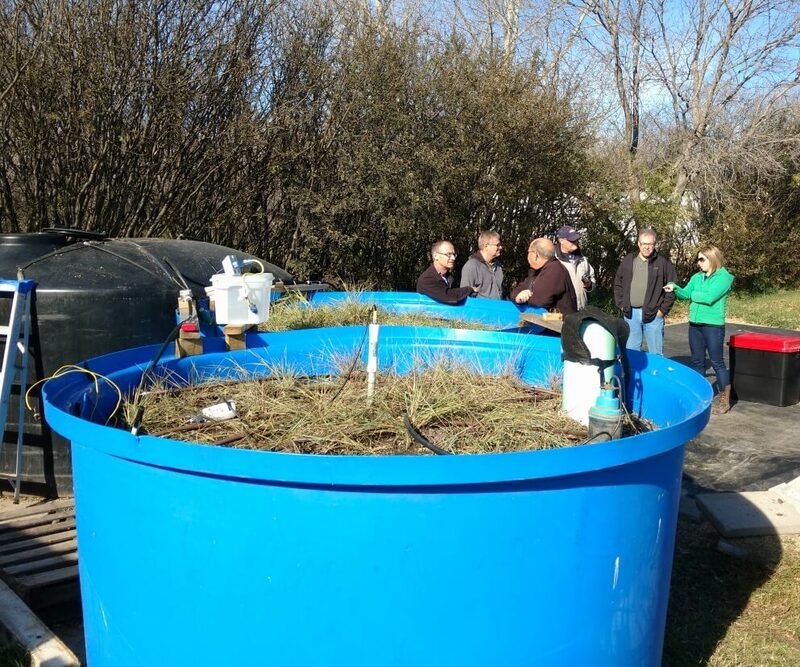 This system is more efficient at degrading persistent products, and allows for better water management. Figure 18: Two-stage biobed system at Outlook, SK. The principle has proven effective, helping degrade more difficult pesticides to acceptable levels. 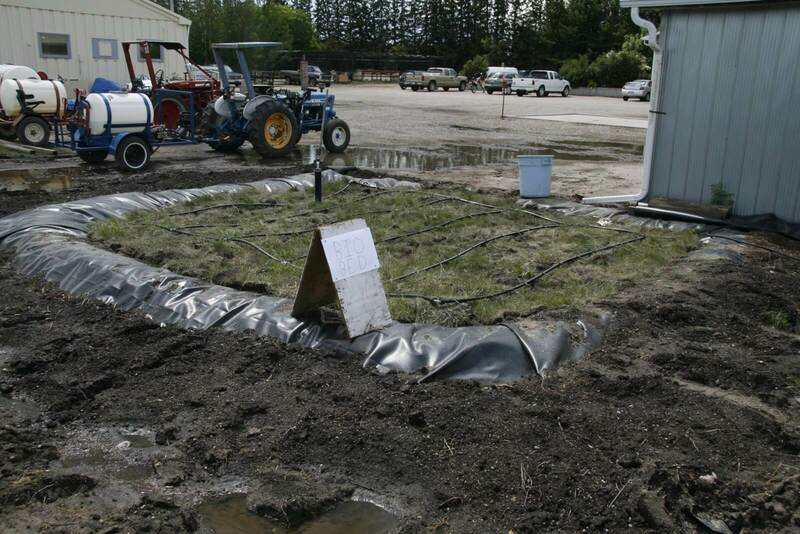 One of the problems with below-ground biobeds in wet climates is the difficulty managing water. 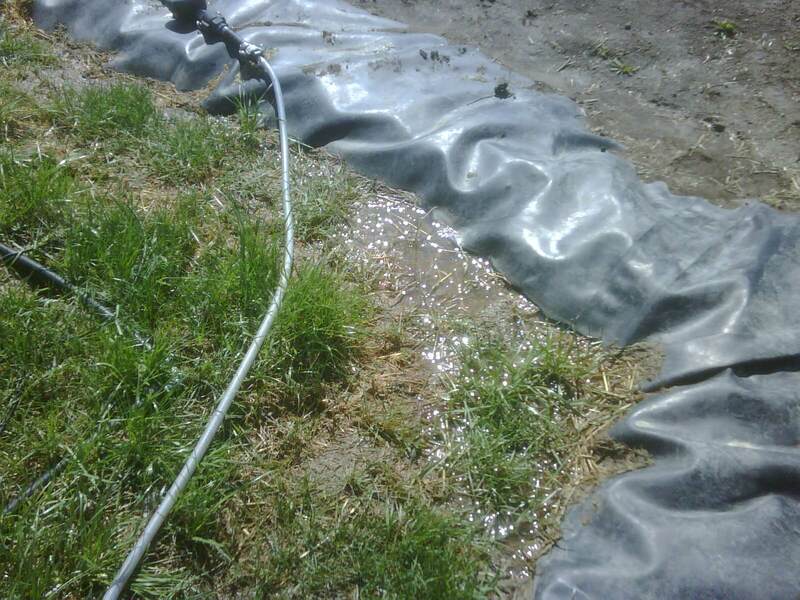 Above-ground biobeds can address this issue by eliminating the possibility of surface runoff being added to the biomix. Adding a rain cover would also be easier and more effective. 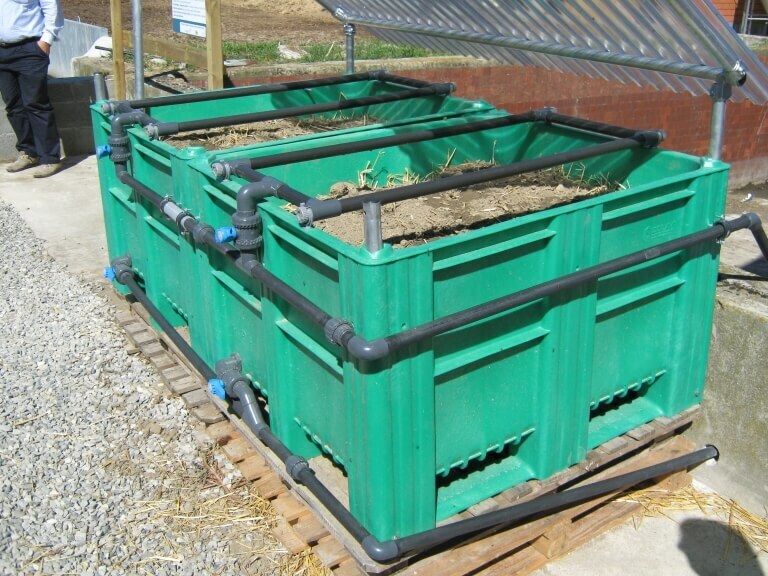 Above-ground biobeds can be edged with plywood, or placed entirely into plastic tanks whose tops have been removed. 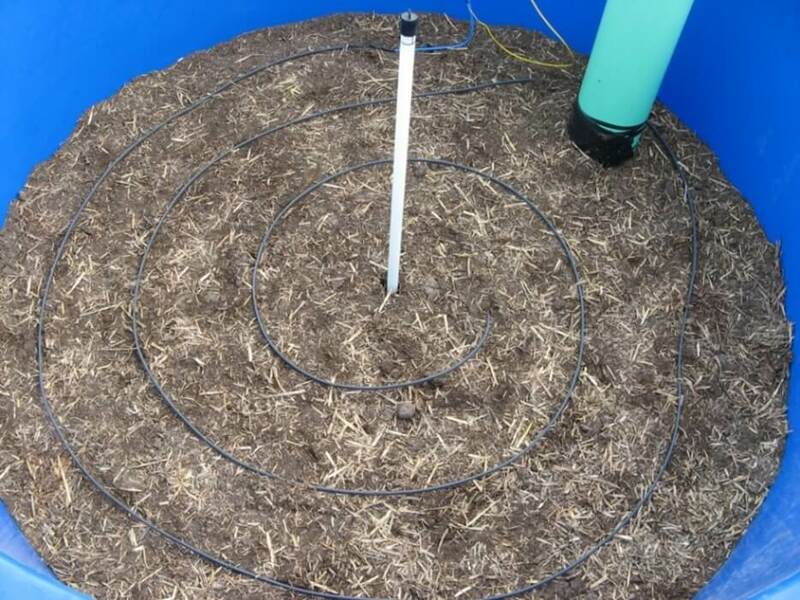 Figure 19: Above ground biobed installation with plastic tub. One potential problem with above-ground biobeds is the later spring warming of this installation compared to below-ground types. Cold temperature reduces the effectiveness of biobeds due to the reliance on microbial activity. Heat tape has been tested by AAFC and shown to be very effective at warming the biomix and stimulating initial microbial activity. 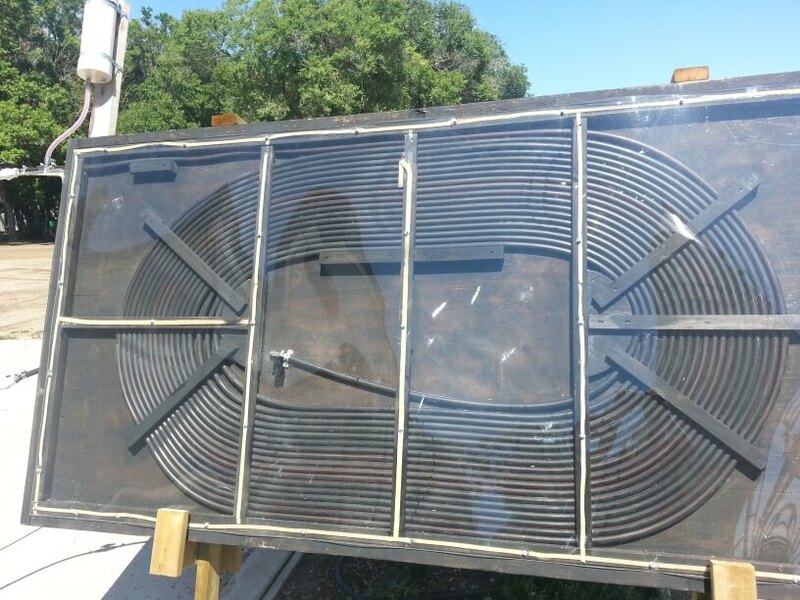 Passive solar systems have also been studied but are more difficult to install. Figure 20: Heat tape (Source: AAFC). Figure 21: Passive solar biomix heating system. European designs have utilized plastic containers to form of various designs, including the commercial “Phytobac” systems from France and developed with the support of Bayer CropScience. Sequential biofilters have also been implemented. The leachate simply migrates through the biomix into the next container below. 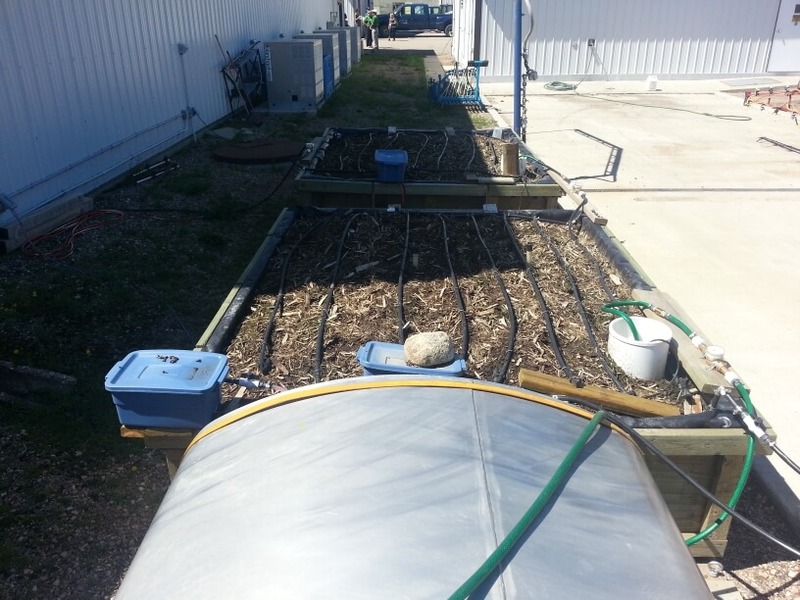 Eventually, adjacent biofilters containing plants act to remove the moisture. Figure 22: Phytobac installation, cross-section. 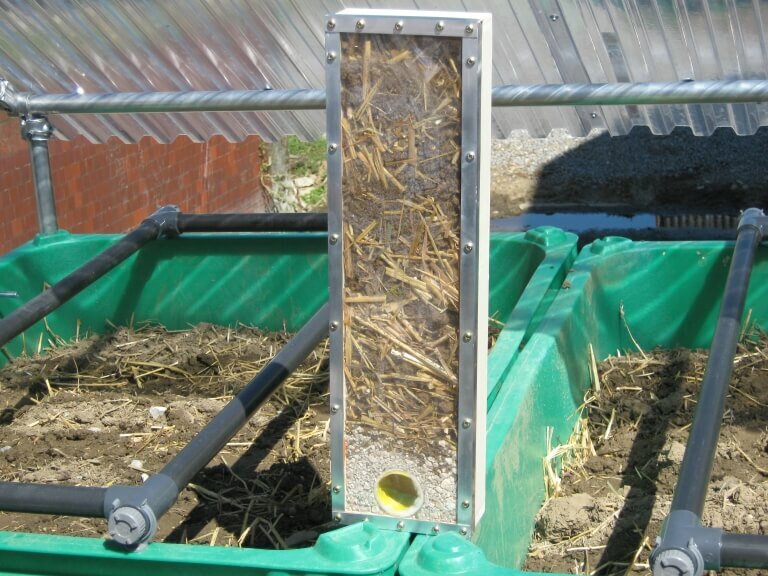 Figure 23: Biofilter installation in Belgium (Source: Inge Mestdagh via Biobeds.org). Swedish and UK research has suggested that biobeds require minimal maintenance aside from water management in closed systems. 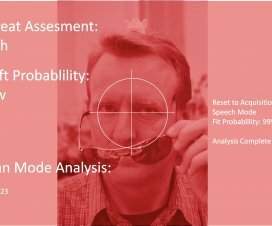 Biomix will settle over time and may need to be topped up. 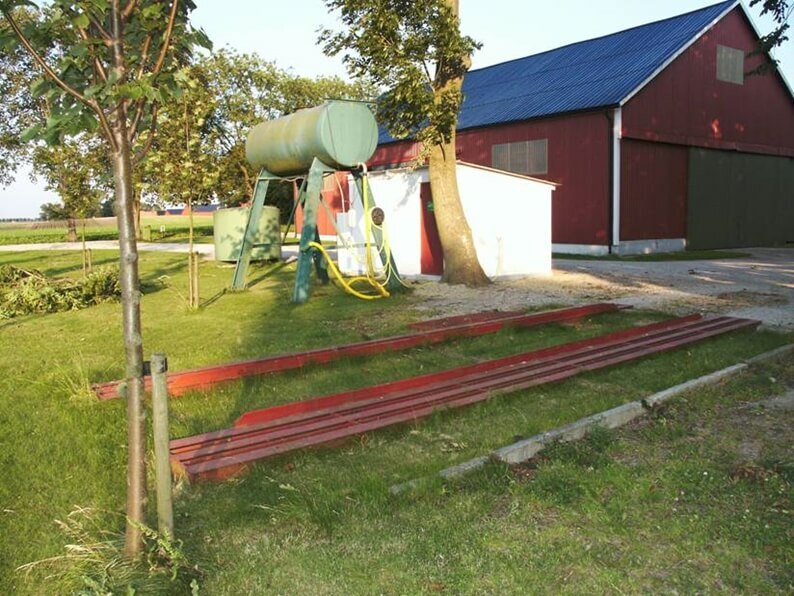 After five to eight years of use, it has been recommended to remove biomix and distribute it over a field with a manure spreader. Extensive analysis of pesticide degradation in five biobeds across Western Canada was conducted as part of a three-year study led by AAFC. Between eight and 51 products were analyzed per site, including herbicides, fungicides, and insecticides. Their results showed that single biobeds could remove about 90% of the introduced pesticide, and two in sequence usually removed more than 98%. Pesticides that tended not to degrade rapidly were removed to a greater degree in the second biobed. In the AAFC studies, three herbicides were more difficult to remove in the tested biobeds: clopyralid (e.g., Lontrel, Stinger), bentazon (Basagran, Storm) and imazethapyr (Pursuit, Arsenal). For these three, roughly 60% was removed in a two-biobed system. Concentrated pesticides should not be introduced to a biobed as this will kill the microbial populations. Some fungicides were shown to depress microbial populations but only temporarily. Microbial breakdown still occurred. AAFC has authored a comprehensive manual on biobed operation and installation based on research experience in Canada and elsewhere. It will be available here in late June 2018. Research into biobeds remains active around the world. Different substrates for the biomix are being studied to suit local availabilities. Various systems, ranging from simple to highly engineered are being studied. Degradation effectiveness for various influents remains a topic of significant interest. Producer adoption and implementation are being reported. Note: Brian Caldwell and I first learned about biobeds from Eskil Nilsson (website) during a visit to Sweden in 2001, and obtained support for initial studies in Saskatoon and Indian Head from the Pest Management Centre as well as Bayer CropScience. Brian took a lead in our creative and technical efforts over many years. Dean Ngombe, under the co-supervision of Diane Knight at the U of S and myself, produced the first M.Sc. thesis, and with significant input from Allan Cessna, the first scientific publications in Canada on biobeds. Thanks for Larry Braul and many collaborators for leading the most recent AAFC study and generously sharing resources, and Erl Svendsen, Bruce Gossen, and Claudia Sheedy for editorial input.